RelyX U100 Resin Cement Bangkok, Thailand. 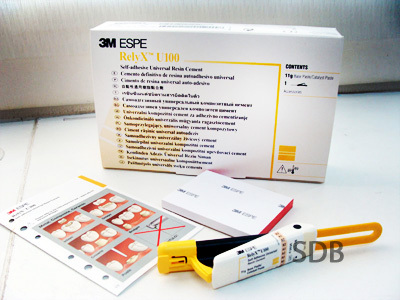 For years, doctors have trusted RelyX™ Unicem Self-Adhesive Universal Resin Cement from 3M ESPE to deliver a strong bond - without etching, priming or bonding. Now in our award-winning Clicker™ Dispenser, it eliminates the need for measuring, too, saving even more time.